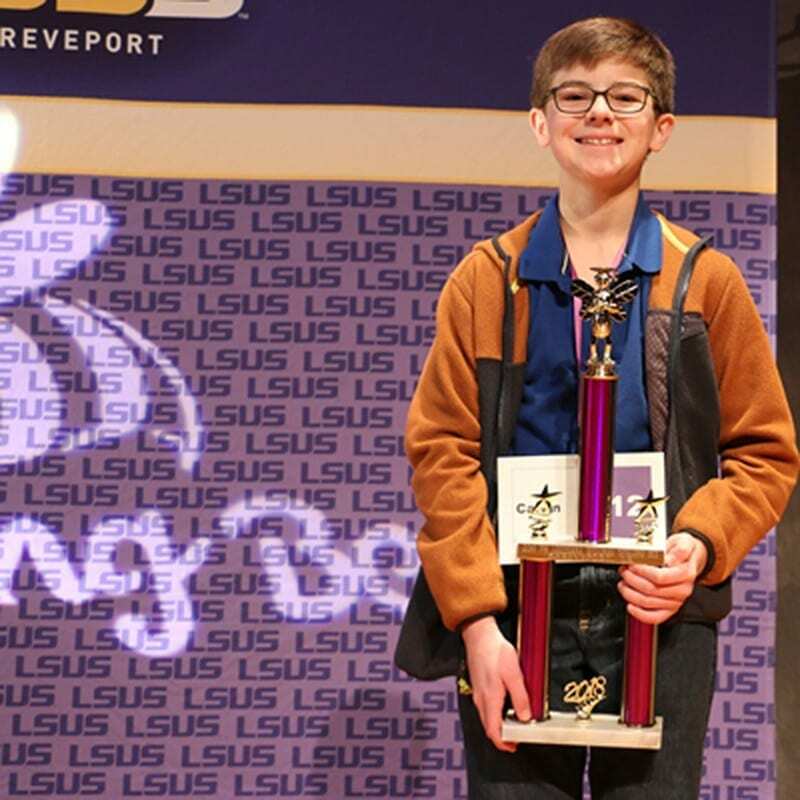 Spellers competed on the LSUS campus on Saturday, March 17. Dr. Thomas Du Bose of the LSUS Department of English served as pronouncer for the competition. The judges who tracked every word and verified spelling accuracy were Dr. Jason Rachal, Robin Jones, Jazmin Jernigan, Callie Dean and Loretta Casteen. Spellers studied the 2018 School Spelling Bee Study List and Spell It!, a 1,150-word list provided by the Scripps National Spelling Bee and Merriam-Webster.